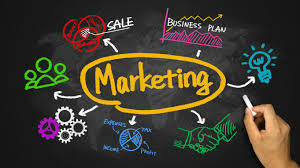 I would say the hottest topic for small businesses at present is ‘marketing’. I believe this is because the digital world has brought about such a dramatic change to the way we deliver our marketing that most small businesses owners are still grappling to keep up. The ways you can now reach your market via the digital world can take many businesses global in an instant. This is still an unbelievable concept for most small businesses owners and the biggest question I feel they battle with answering is, which will be the most effective for my business? Unfortunately, there isn’t a one size fits all answer. Recently, I facilitated a discussion with a group of small businesses owners asking them – Where is your market, who are they? And where do they hang out? It was amazing the productive work we achieved by stepping back from our normal day of work and asking these x3 simple questions. At times we can see our potential customers as faceless mystery people that we don’t understand. But this is not the case. It is about thinking carefully about who exactly is your potential customer? What do they like? And what is most important to them? When you see them as an ‘actual’ person you can then begin to relate your marketing messages and build your online activity to directly target that person or group of people that fit that profile. I encourage you to embrace what the digital world can offer your business and invest in learning how to harness its power to grow your business – it will be worth it! But of course, there’s more… Your goals, strategies & tactics must come before you activate your marketing campaign. If these things don’t line up and support one-another – what is the point in being a business? Who are you servicing? Strategy is my favourite thing! I recognise my biggest weakness is focussing on the minor details – YES, I can do that work, but should I do it? Absolutely NOT! They distract me from my GROWTH vision and give me reasons to NOT attack the hard stuff. I imagine MANY successful business owners, managers and salespeople would agree that the pathway to success is first BELIEVING you can and secondly being WILLING to work for what you LOVE to do in your work. Anything that fits outside of this can and will be a distraction. If you too are passionate about what you do and want to take your BUSINESS or work SUCCESS to the next level – I would love to chat with you – you can find out more about what we do by clicking this link www.infuzed.nz or emailing me on zita@infuzed.nz. I would love to hear from you!